Just how big is Americana? With as general and vague a question as that is, your argument could orient itself on one of two antithetical paths - that it’s either too big to quantify, or that it’s so small and culturally irrelevant it doesn’t even merit justifying. As Americanafest 2018 came and went once more, I’d venture to say it’s somewhere in the middle (how neutral of me!). That being said, Americana and its various cultural components seem to be hellbent on taking the “most dangerous road” when it comes to notoriety and relevance. 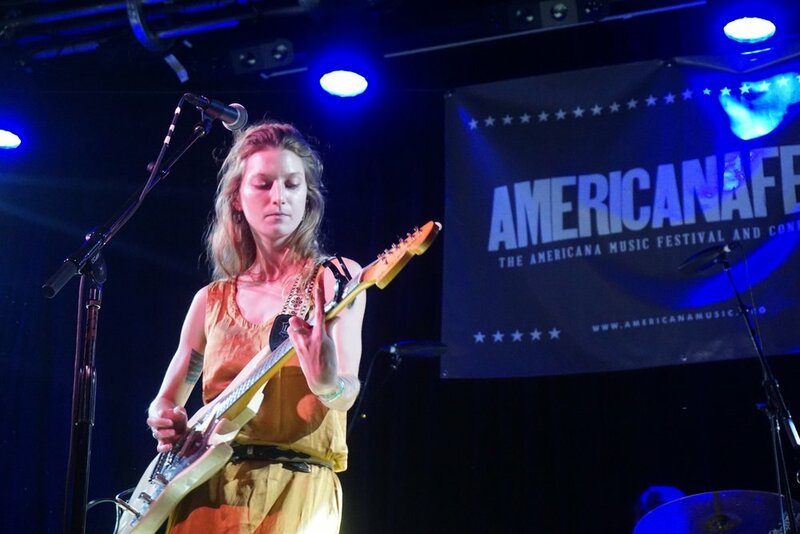 In certain respects, Americana and its annual, week long Nashville-based festival might suggest that Americana music has all but cemented its status as a cornerstone of post-millennial culture. But in attending certain showcases, the feast or famine nature of attendance might suggest otherwise. Is it the boisterous, thoughtful, and steadfast firebrand of American culture that Americanafest seems to suggest it is? Who knows? Probably not as many people as you’d think. If you were to go up to a random person on the street of Anywhere, USA, and ask them who John Prine was, would they know? Probably not. Is that a shame? Yes, but it’s not out of the question when you consider Fair & Square came out twelve years ago (2006). I don’t mean to pick on John Prine - I’m a big proponent of a body of work over time, and there are few who done so as consistently as him - but when 90% (that feels generous) of the country likely wouldn’t be able to place one of your “movement’s” forefathers, you’re not necessarily sitting pretty. All that being said, if ever there were a moment in the annals of history in which Americana seems best positioned to make major strides in its “legacy building,” that time is now. In a time of heightened emotional, political, and societal tension, Americana music holds an uncanny standing of near universal intimacy and application. Suddenly, the general vagueness and nebulousness of Americana and its tendency to claim alt- and sans- genre stragglers is placing the “movement” in a more diverse standing. An example - I spent a grand total of 15 minutes or so at the technicality burdened Americana Music Awards due to other, outstanding obligations, but in that time, I did see an opening number that offered a brief nod toward progressivism in Americana - Lukas Nelson, Fantastic Negrito, and Nathaniel Rateliff took to the Ryman Stage to perform a Creedence Clearwater Revival tribute. That’s a vaguely country artist, a vaguely soul singer, and a vaguely rock n roller all taking the stage to cover a rock band’s song for an Americana award show being broadcast on CMT. That’s a TKO quote if I’ve ever seen one. Let’s call time on the various ramblings that coincide with these sorts of recaps - Americana loves to think of itself of being high-minded and what not, so that abbreviated op-ed about the state of Americana is to appease those self-reverential types the genre tends to attract - and move on to the other “Best Things We (I) Saw” portion of the recap. 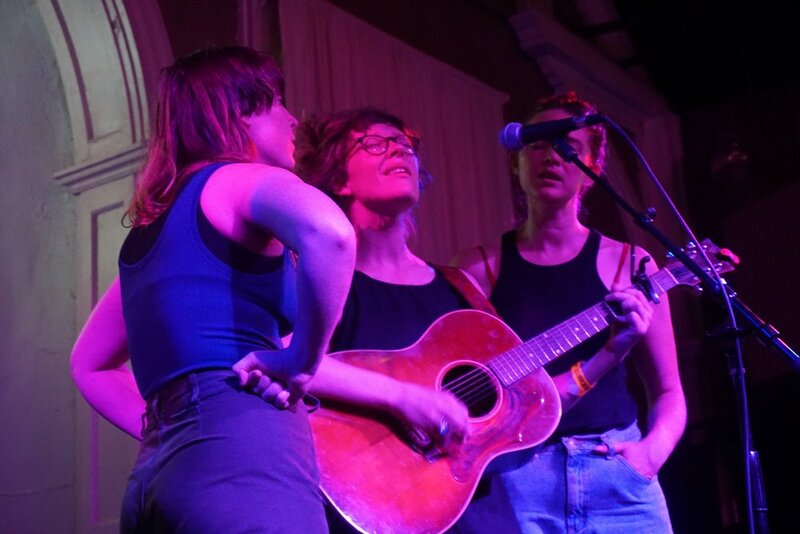 In glancing at other publications’ reviews of Americanafest 2018, almost every outlet had a hyper-specific Top 30 to accommodate any and all comers (thought with as many artists as there are at Americanafest, that still doesn’t begin to cover the half of it), which is all well and good, but our coverage was more of a “see what you can” and “make it count” approach than the “coverage by land, sky, and sea” angle popularized by larger publications (in other words, RSC). 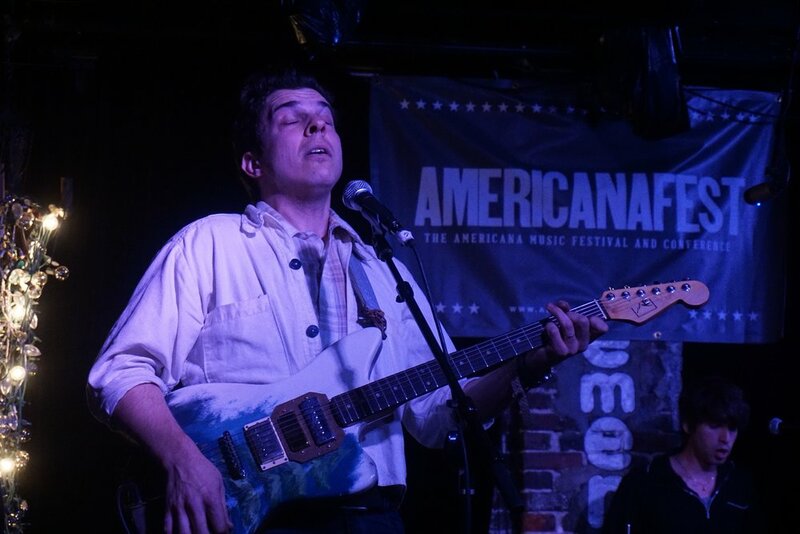 Joshua Ray Walker at Springwater - It only seems fitting that one of the best sets at Americanafest 2018 was an unofficial showcase that took place about as far removed from the self-aggrandizing hubbub of the festival’s final night. While he wasn’t officially listed on the festival, Joshua Ray Walker was Now/It’s official festival closer, and honestly, I don’t think Chris Shifflet’s official closing set would have held a candle to Walker’s. Primed for the release of his debut album Wish You Were Here, Walker’s brand of wizened country prose to Springwater and leveled damn near everyone inside with a wave of gut punch after gut punch of road weary country. His writing style is so incredibly earnest and applicable to the traditional country experience in the post-millennial age, it’s almost unbelievable to hear. There are two lines that encapsulate that experience and I’ve been obsessing over since Walker’s set - “Gotta cash this mamaw check” and “I laid in bed for an hour today, trying to die of natural causes, has the lord forgotten to take me in my sleep?” I mean, come on! Carson McHone at 3rd & Lindsley - In case you can’t tell, the final night of Americanafest came crashing down in an emotional and musical tidal wave of music from two promising Texans, one being the aforementioned and the other being Carson McHone. This was not my first time seeing McHone play in Nashville - she played Douglas Corner earlier this year with Lillie Mae - but it was the first time seeing her in a proper sounding room (no offense to DC). McHone has always struck me as something of a country and Americana variant of Cat Power or Moe Bandy. She possesses an beguiling wistfulness in slower songs that place her in a unique arena of Americana, but can present the same tongue in cheek observations that make country music so fun. 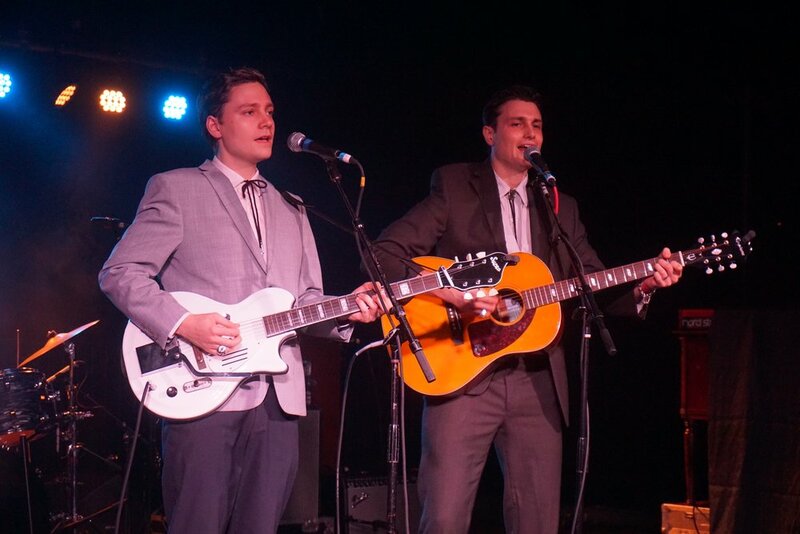 McHone obviously possesses a highly literary background in prefacing songs, recalling stories of the Lost Generation as influence, all the while being distinctly accessible with stories of old honky tonk jukeboxes. It’s all one and the same with McHone, with the common denominator being that every song is heart wrenchingly good. Suggested listening: “Dram Shop Gal” and her upcoming LP, Carousel. Ian Noe at Cannery ONE - So as we trade the Texas plains for the Kentucky foothills, we find ourselves in Cannery’s (sort of) attic for Ian Noe’s take on dark-grit and Southern Gothic. When it comes to visualizing Noe’s music, think Raymond Carver’s Tell the Women We’re Going meets the color palette of Ozark but with so much soot and blood and spit, even the Snells would quiver at the subject matter. They’re stories that rather than punch you in the stomach, they’ll stick you with a blade you never saw coming. But that’s what makes Noe’s music so great. Singing about meth-heads and drunkard cousins paint pictures of Southern culture’s underbelly, one that is all too real in certain communities. It’s a nice departure from the generally pastoral and prosaic musings of Americanafest and a lot of the imitators that perform in the name of American music, but placed head to head with Noe’s music, they’d be bludgeoned and bloodied by the heavy realities Noe weaves into his grim grinning songs. Leah Blevins at The 5 Spot - Maybe it’s a bias due to the fact she’s actually been featured on the site before, but you’d be hard pressed to have found a better Americanafest showcase than Leah Blevins’. In fact, I’d reckon her showcase was pound for pound the best official showcase of the festival, with all due respect to the others. In the year or so since Now/It’s talked to Leah, she has made some extraordinary and considerable strides as an artist, both in the recorded and live realms. Blevins is charming, bordering on endearingly genteel while introducing songs and her players, but when she begins to sing, she morphs into heavyweight purveyor of human emotion. It’s one haymaker after another, then leading into a brief respite, only to come back with another emotional gut punch that cuts straight to the core. It’s not often you find people in the 5 Spot totally enraptured by a set, but Blevins did exactly that, along with some help from her equally talented sister, Lacy, and the exceptional harmonizing side man (and solo artist in his own right) Zach Torres. 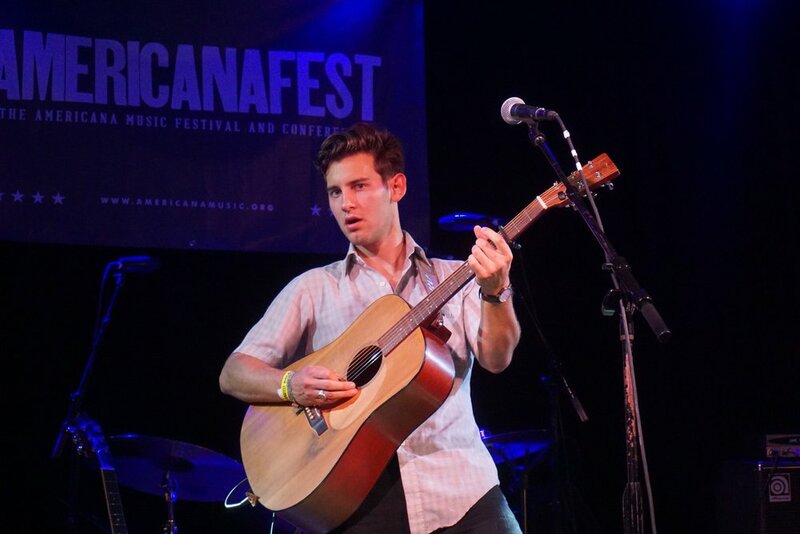 I figure by this time next year, Blevins will have one of the prime Americanafest slots. Devon Gilfillian at The High Watt - At one point, Devon Gilfillian might have been Nashville’s best kept secret, but my oh my how things can change within the blink of an eye. Now, with a Capitol contract, NFL Draft appearance, and countless unparalleled live sets, Gilfillian is one of Nashville’s finest creative exports. He’s arguably a generational talent in Nashville, at the peak of his powers. 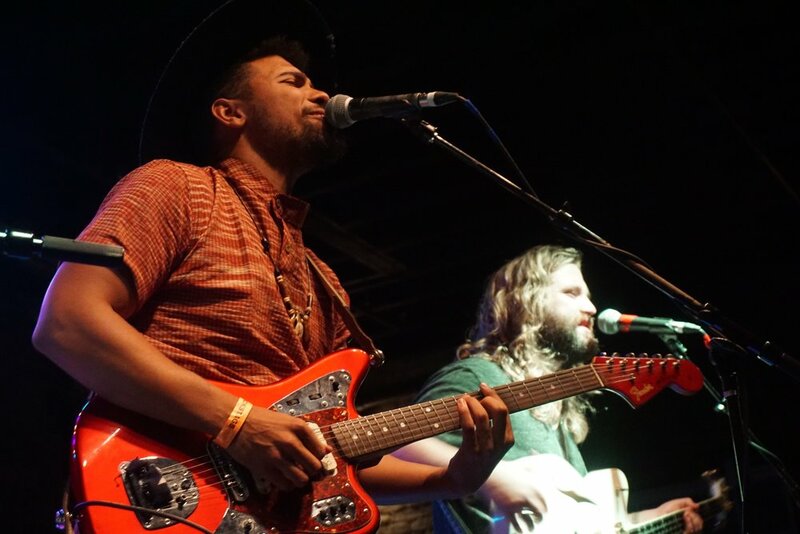 It’s almost certain that Gilfillian will continue his ascendance to the point of being nearly too big for Americanafest, but seems to have a humility and unbridled joy that might bring him back year after year. Who knows? He’s a supernova talent whose explosive talent nowhere near the end of his reign. And just like that, Americanafest 2017 is over just as quickly as it came. 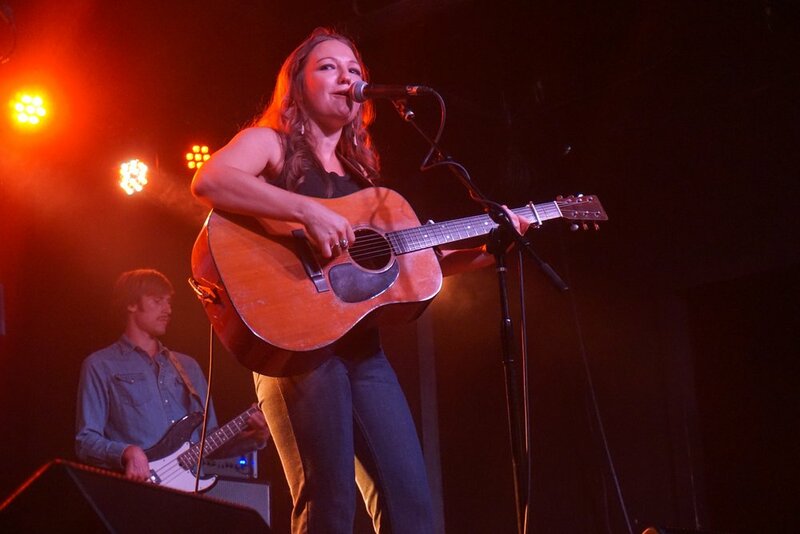 We caught the opening set from one of Nashville's finest (and Now/It's favorites), Kelsey Waldon. In celebration of the quipiness, thoughtfulness, and exceptional latest release from Sam Lewis, LOVERSITY. Some comparative literary analysis of Carson McHone’s fantastic new LP, Carousel and the works of Lucia Berlin, Raymond Carver, and more.